Well now..its been over a month since my last blog post..sorry, been having a blog holiday! 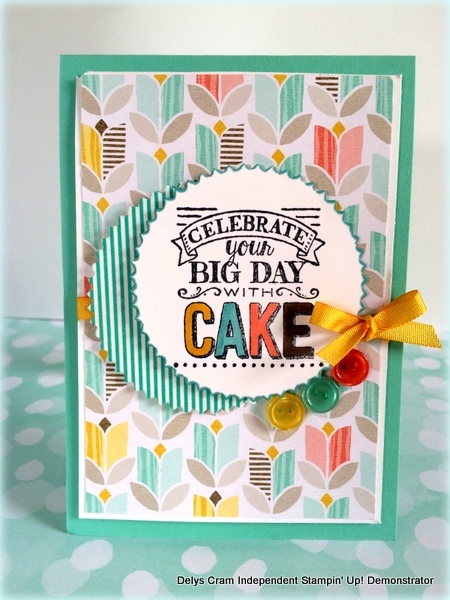 I’m back into it again and starting off with our Creative Inkers Saleabration Blog Hop. You may have just arrived from Sally Williams blog or you may be starting here..If you get lost ..check out the links below my post. 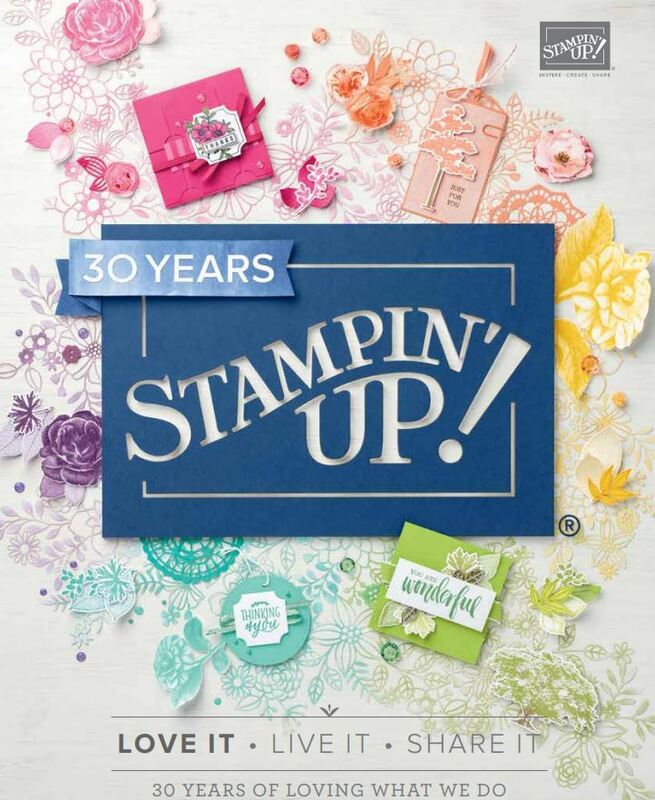 So today I’m focusing on one stamp set with is “Big Day” and the Best Year Ever DSP..both of which is free with any $110 purchase. 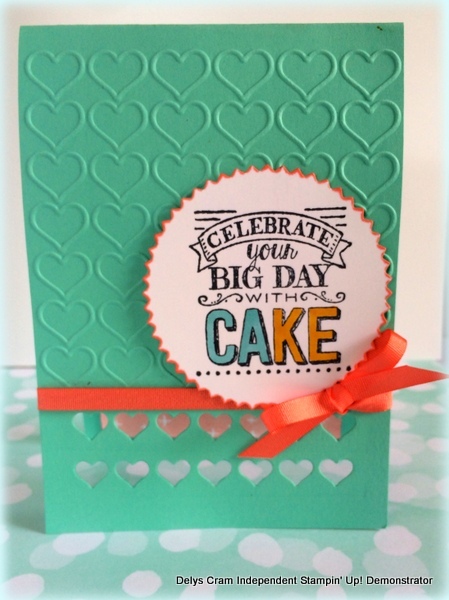 For this card I used a die from the mini treat bag which is in the new Occasions Catalogue along with the Happy Heart textured Embossing Folder. The Salebration ribbons and button pack featured largely in all four of my cards. I love the fact that you can also get a pack of Blendibility pens as your free product..I coloured all of these with my blendies..so therapeutic to colour, I reckon! 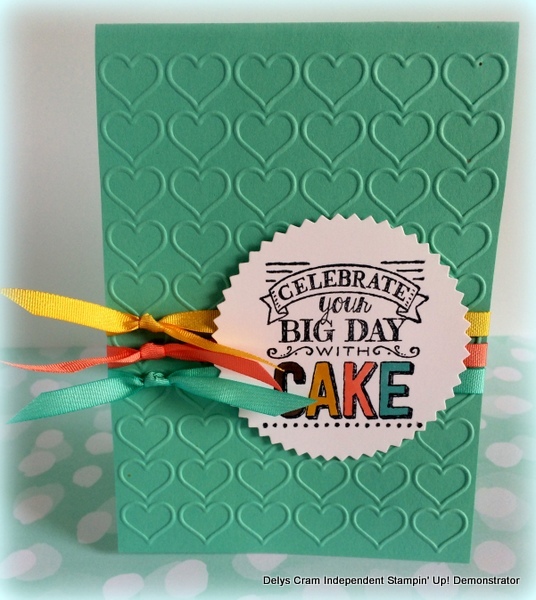 This card is using the gorgeous SAB paper, I mentioned earlier and the new washi sheets (Occasions Catalogue) This last one used a new white jute ribbon (occasions) ..it is so gorgeous and I will be using lots of it I’m sure. Finally, I stamped up the envelopes. If you are using blendies then pop a couple of scrap pieces of cardstock inside the envelope when you are colouring as they may bleed through to the back of the envelope. I had fun decorating these too! So off we go to the next blog ..which is to the lovely Lisa Bullocks blog …Have a happy day! 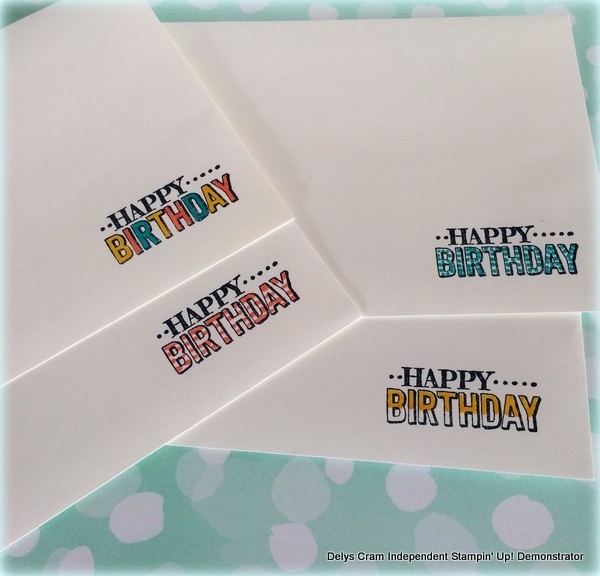 Awesome cards Delys, just goes to show how many different things you can do with one stamp set! 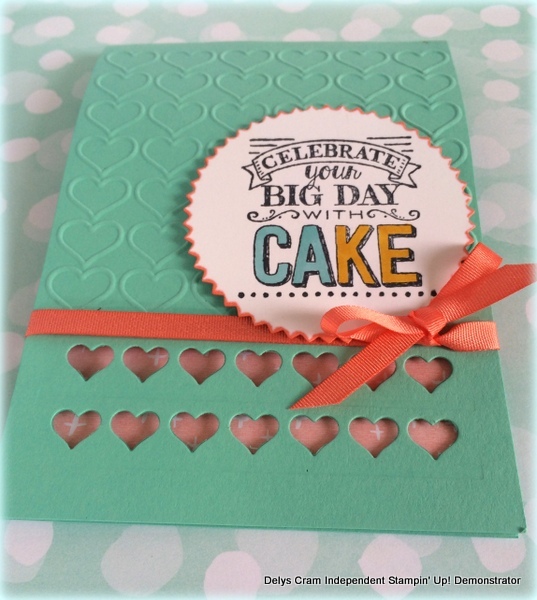 Thanks for all the inspiration – really need to go and play with those dies and the embossing folder and I loved the tip re colouring on the envelopes too! Thanks Rachael ..yep well worth it those dies. Well done Delys they look great. The second one would have to be my fav I think. I love the 3 buttons along the edge with the bow on top – just makes it. Thanks kathryn ..that one made me tutu with it the most ..glad its your fave! Your cards are gorgeous, but they always are. I love your colouring in and I see that you are doing more and more. Your envelopes are too cute. 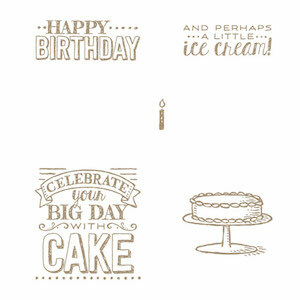 WOWsiers, I love how you featured one stamp set “Big Day” to make 4 different cards, along with the cute envelopes. 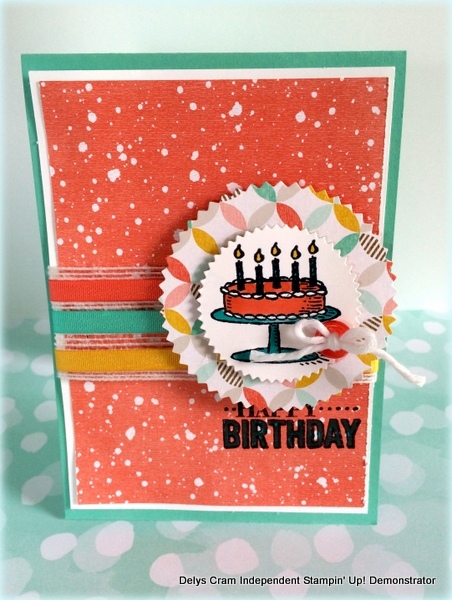 Love the way you have used the different colours and Blendabilities, along with the “Best Year Ever” Designer Series Paper matching and the “Best Year Ever” Accessory Pack Ribbon on your cards.